By 2018, the average profitability of farmers has increased to 5-7%, while a year earlier the figure was estimated at 2-3%. This was on the 10-th international conference "Where the margin" organized by the Institute for agricultural market studies (IKAR), said Deputy Minister of agriculture Yelena fastova. "The last 10 years were very positive for the Russian agricultural industry has developed under the influence of some external and internal factors," she said. The Ministry of agriculture, since 2007, domestic agriculture has increased in value by 2.7 times to 5119,9 bn Annually agriculture grows by an average of 3.5%, added Fastiv. The marginality of the production of certain agricultural crops in the current season is completely different depending on the region, said General Director of IKAR Dmitry Rylko. In the South the yields of many items has decreased, increases were observed only on wheat, barley and slightly sugar-beet. Significant impact on the profit was due to the drought reduced the yield of many crop species. In particular more than 60% decrease in the profitability of soybeans and rapeseed (average about 7.5-8 thousand rubles/ha and 2-2. 5 thousand rubles/ha, respectively), half maize (up to 1.5-2 thousand rubles/ha). The most profitable in 2018/19 agricultural year in the southern regions was wheat — about 30 thousand. In the center of the country the yield of almost all major crop species, except canola, by contrast, has increased, said Rylko. The largest increase (more than threefold) was observed for corn and sugar beet. Profit per hectare the first closer on average to 25 thousand rubles., the second was about 15 thousand. the Greatest profitability along with corn in Central Russia have also shown soybeans (about 25 thousand rubles/ha). 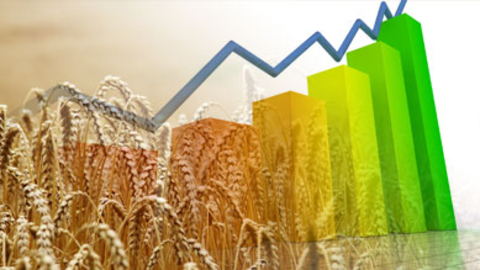 Profitability of crop production in the Volga region also increased, although the figures remain at a lower level than in the South and centre of the country. Most of the margin due to the high yields was the sugar beets, said Dmitry Rylko. Profit per hectare of this crop averaged about 8-9 thousand RUB Good yield (about 7-8 thousand rubles/ha) gave corn, which last year showed negative results. Rebounded slightly in the Volga region and barley market: last season the marginality of agriculture tends to zero, and this approached 2-2. 5 thousand./ha. For wheat, local farmers earned an average of 6-7 thousand.